Talk about the ultimate summer dessert! 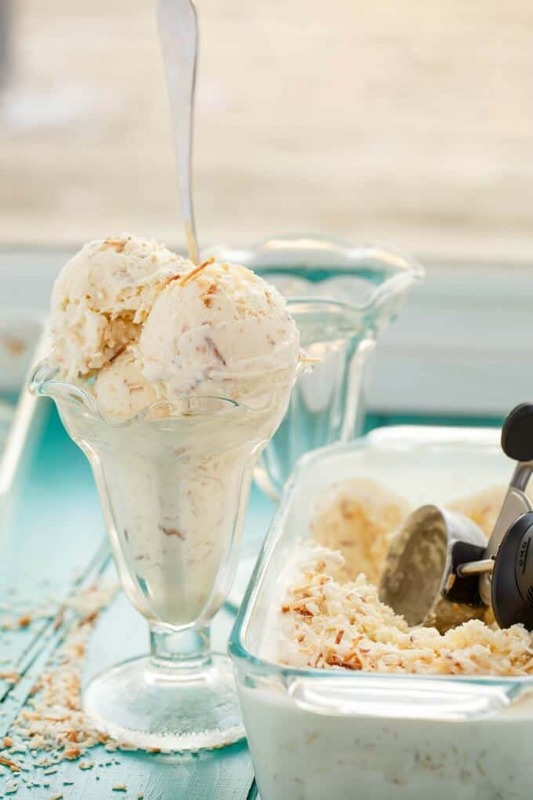 This toasted coconut ice cream is perfect to cool down from the heat. Plus, toasted coconut transforms a recipe so much! 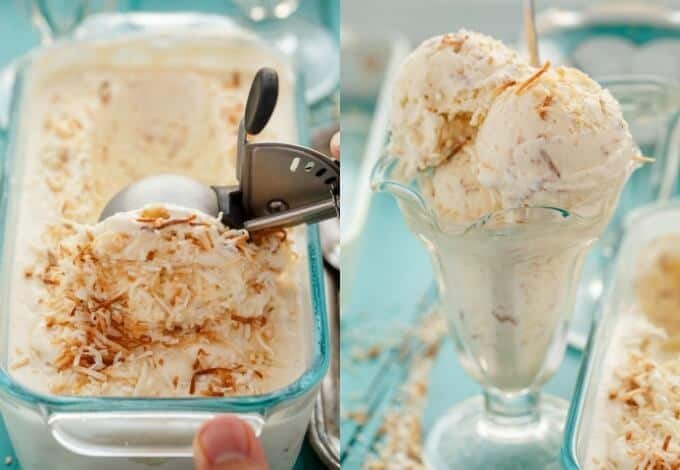 The photos and recipe for this toasted coconut ice cream has been updated as of August 17th, 2016! I am slowly converting people into coconut lovers. When I made the Strawberry-Banana Ice Cream, I topped my helpings with some toasted coconut. My neighbour was immediately intrigued, and though she does not like coconut, she tried a sample of toasted coconut. She could not get over how delicious it was! She even went out and bought herself some coconut just so she could toast it. Personally, I love coconut in any form, but toasted coconut is to die for. That is why I knew I would be making toasted coconut ice cream at some point! UPDATE: A tutorial on how to make toasted coconut is now up! A perfect summer dessert that screams coconut! Combine the unsweetened and sweetened coconut together. Place into a shallow baking sheet and toast at 350F for 5-10 minutes, stirring frequently, until nicely golden. Keep an eye on it so it does not burn! Set aside to cool. In a medium saucepan, combine 1 cup of whipping cream and 1 can of coconut milk. Pour in the sugar and place over medium heat. Heat, stirring occasionally, until the sugar is dissolved and the mixture is quite hot, but never allow it to boil. When fully combined, mix remaining cream with cornstarch and pour into mixture. Pour back into the saucepan and once again reheat. Stir in the almond extract and remove from heat. Allow the mixture to come to room temperature, stirring occasionally to prevent a film from building up. 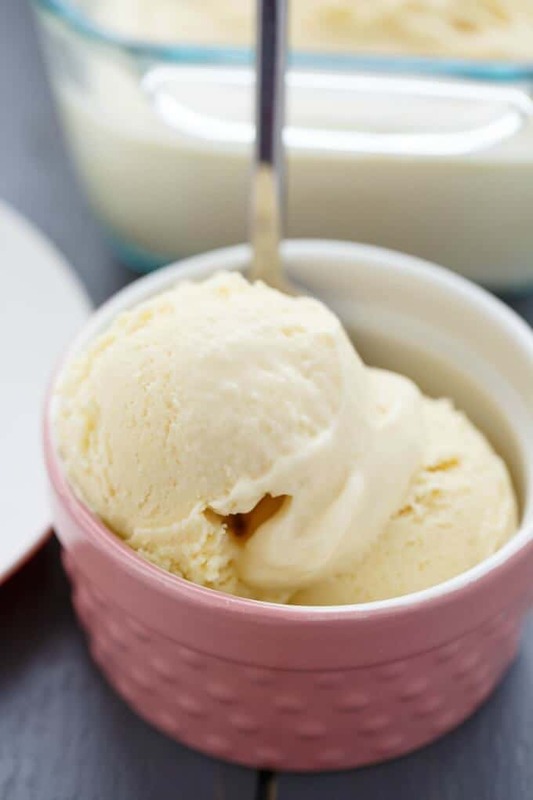 Transfer to the fridge to chill overnight, Once chilled, follow your ice cream machine's directions. 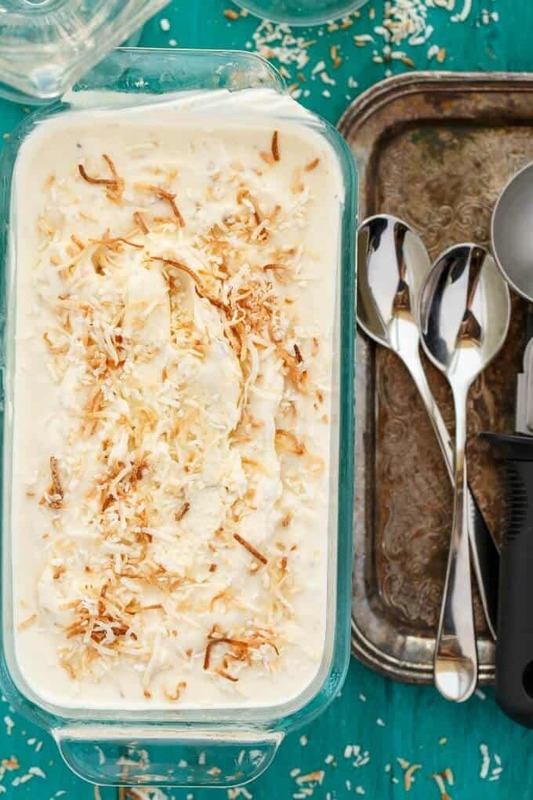 In the last 2-5 minutes, add in the toasted coconut so it blends with the ice cream. Store in an airtight container and keep frozen. Now, you could for-go the toasting part of the coconut, but then we would not have toasted coconut ice cream. I mean, it would probably be just as good, perhaps adding in some coconut extract to help out in the flavour department. However, it takes 5-10 minutes to toast coconut, so why not do it? Make sure to toast some extra coconut to put on top of your ice cream. I mean, you can never have enough coconut! 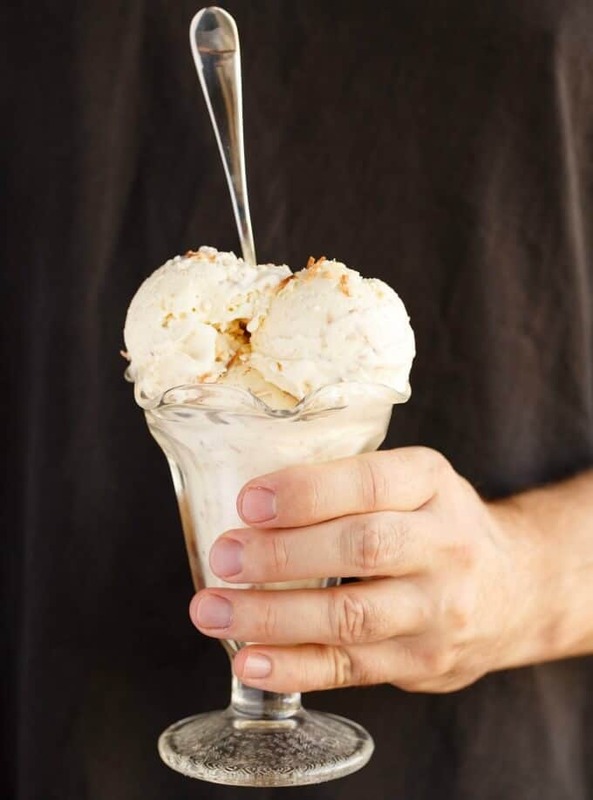 And if you are vegan, be sure to check out my vegan toasted coconut ice cream! My husband loves it and it is perfect for people with lactose intolerance. 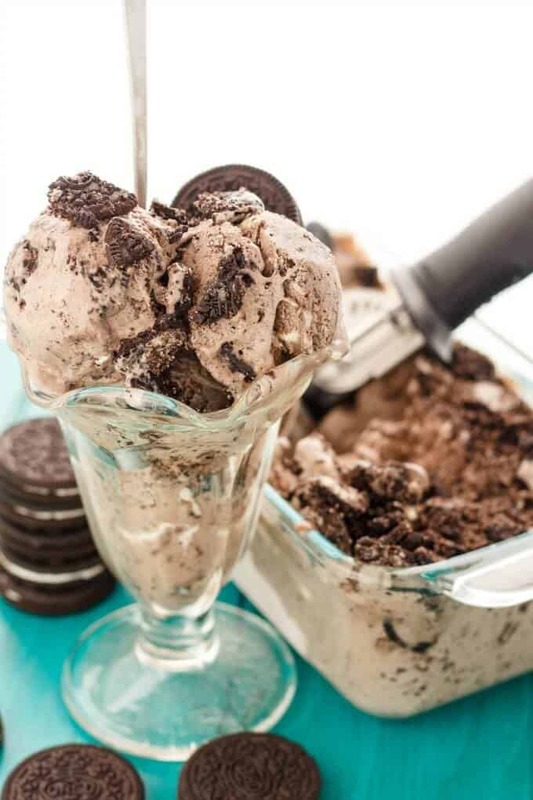 This ice cream looks insanely good! I just love coconut! Thank you, Jessica! I am the same, never enough coconut in my life! Hi Kacey, great recipe! In the middle of making it as we speak -- just curious when do you put the toasted coconut in? I've read over the recipe a few times and can't seem to see it! Or is this more to do with your ice cream maker's instructions -- I'm new to using it and making ice cream! Thanks! Sorry about that! I usually throw in my toasted coconut a couple of minutes before the ice cream is done mixing in my machine. Good luck! Not to worry! Thanks so much! Will do exactly that :) Now to have the patience to wait till it's frozen!